This year several other moms and I have decided to do a preschool coop. We had "B" at our house last week, so I decided to make some B Beanbags to help kids sort out their upper and lower case B's and because bean bags are so fun. We used them during both of our B days as a sorting activity and then each child got to choose 2 to take home. (And thanks to Fairfield for providing me with the Poly Pellets® and Oly*Fun used in this fun game and for compensating me for writing this post. All ideas and opinions are 100% my own. 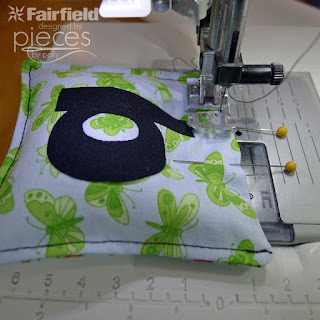 If you've followed my blog for a while, you'll know that we're kind of addicted to I-Spy, and I still have thousands of I-Sky fabric squares just waiting to be sewn into something cool. So I sorted through them and found as many different objects that started with B as I could. 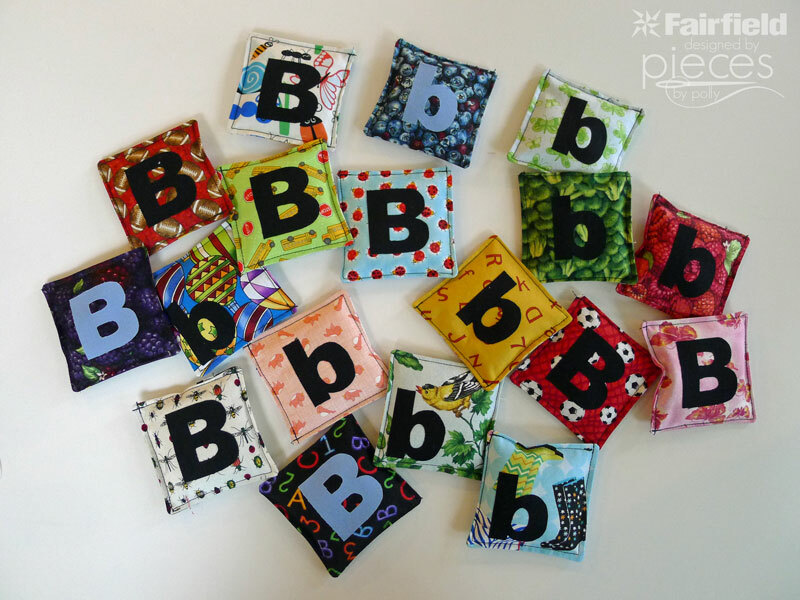 If you don't have I-Spy squares available, you could go to the fabric store and just choose one or two fabrics with B objects on it, and make lots of identical beanbags. 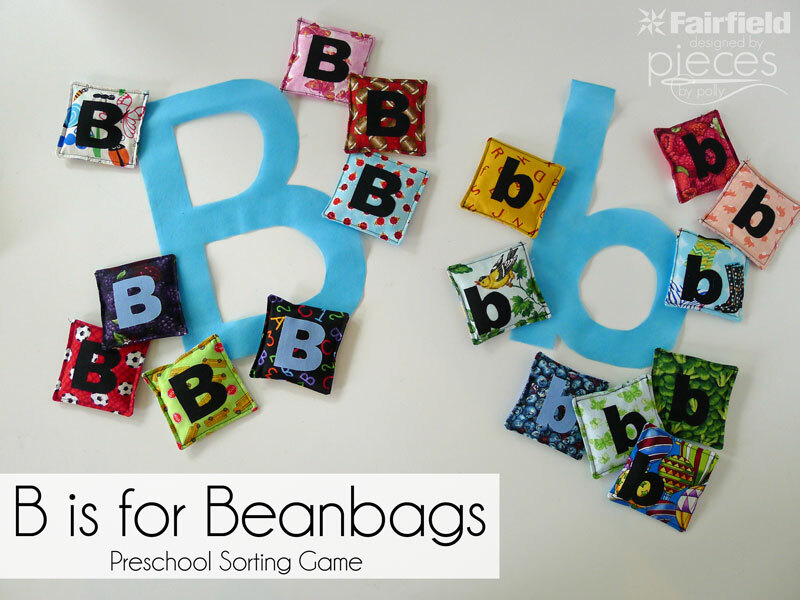 Have kids toss the beanbag at the matching target. 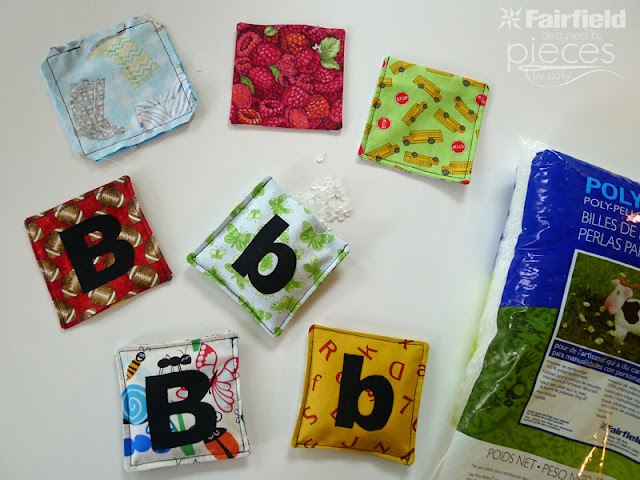 Various 4" cotton fabric squares or 2 Fat-Quarters with B pictures on them. Oly-Fun™ Craft Sheets in Sky Blue (or any color). You could also use construction paper. Start by cutting out 4" squares from your fabric. Place two squares, RIGHT SIDES TOGETHER, and stitch around all four sides, leaving an opening in the middle of one of the sides for turning right side out. Clip corners, and turn right side out. 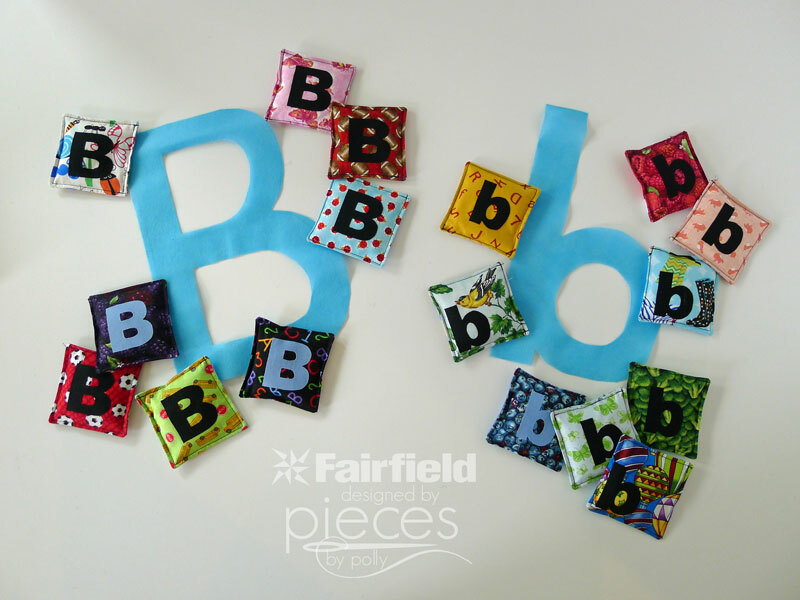 Print your B and b Template. Trace your big B's and little b's onto your paper-backed fusible web. Note: When you trace them, the letters should look reversed. Iron the paper-backed fusible web onto your black (or high contrast) fabric. Cut out your letters and peel off paper backing. Iron the B's onto your bean bags. Make sure that you place it so you can still tell what the pictures are, and make sure all the edges are sealed well. I only put a B on one side of the bean bag, so they could fully see the picture on the other side. Fill beanbag 1/2 to 2/3 full of Poly Pellets® Weighted Stuffing Beads. If you overfill, you'll have a hard time sewing it closed. Pin closed and stitch your bean bag closed.